Overall Dimensions: 3/8" to 8-1/8"
We are a unique entity in the industry, actively committed towards manufacturing an optimum quality CP (chrome plated) Brass Plumbing Fittings. - Features Manufactured as per International Standard. We are into offering superlative quality Plumbing Pipe Fittings to the valued clients. The Plumbing Pipe Fittings range undergoes rigorous quality control measures to ensure full clients satisfaction. 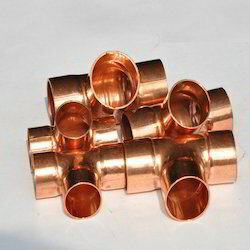 We offer the Plumbing Pipe Fittings at market leading rates to the esteemed clients. The Plumbing Pipe Fittings is extensively used in numerous construction applications. Plumbing is the system of pipes, drains fittings, valves, valve assemblies, and device installed in a building for the distribution of water for drinking, heating and washing, and the removal of waterborne wastes. And the skilled trade of working with pipes, tubling and plumbing fixtures in such system.